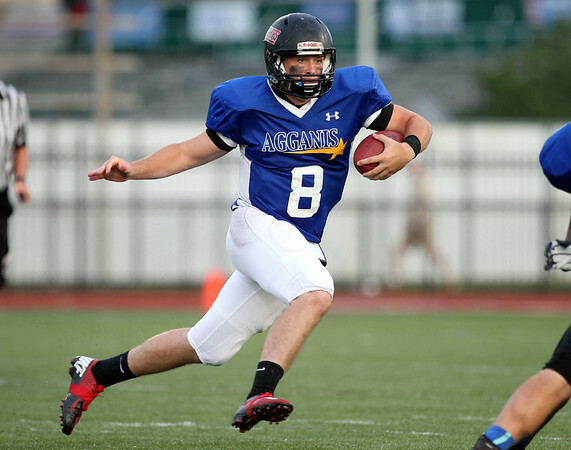 North Andover quarterback Casey Walsh (8) cuts sharply upfield while playing for the North in the 53rd Agganis Football game on Thursday evening at Manning Field in Lynn. DAVID LE/Staff photo. 6/26/14.